Afrovenator was the first almost complete skeleton found of a large African meat-eating dinosaur. It was unearthed in 1993 by an amateur fossil hunter who was on a National Geographic-sponsored expedition. 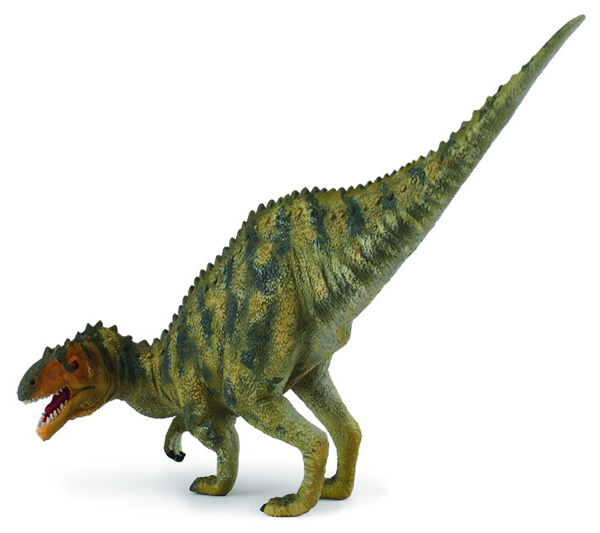 This dinosaur was medium-sized and built for a life of active hunting, with long, strong back legs and large, strong arms designed for catching and holding its prey.Afrovenator appears to be descended from earlier dinosaurs such as Megalosaurus. As this family was widely spread through ancient Europe and possibly South America, it is not surprising that a relation would also have lived in Africa as its ancestors may have passed through. The only major Afrovenator parts missing from the type specimen are most of the lower jaw, the nose, some ribs and vertebrae, and toe bones. All in all, it is a remarkably complete specimen. Afrovenator was a giant carnivore (meat-eater) that lived in northern Africa (its fossils were found in Niger) during the early Cretaceous period, between about 136 and 125 million years ago. Afrovenator was about 30 feet (9 meters) long. It had sharp teeth and three claws on each hand. Originally the Afrovenator ice in the Megalosauridae family. This is a family of theropods att are very hard to classify. 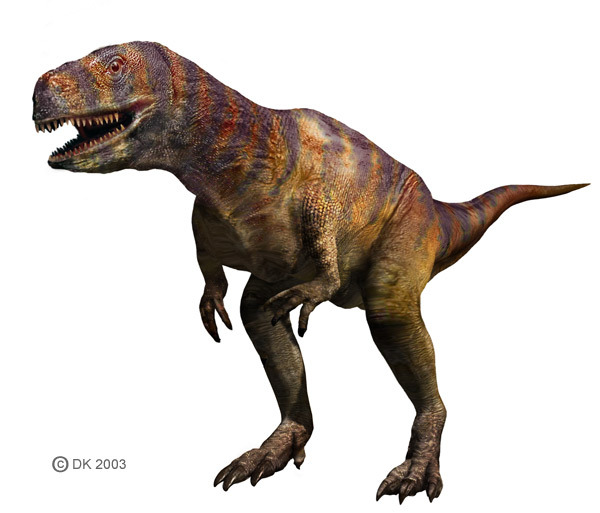 In 2002 the dinosaur was defined into a different family called Spinosaurus Although still it is formally classified in the Megalosauridae family.